The staff at Morristown-Hamblen Healthcare System dedicates itself to always putting patients first and providing an excellent experience for everyone that comes through the doors. An invaluable asset to making that mission a reality for the hospital are the dozens of volunteers that open their hearts to help those in need. 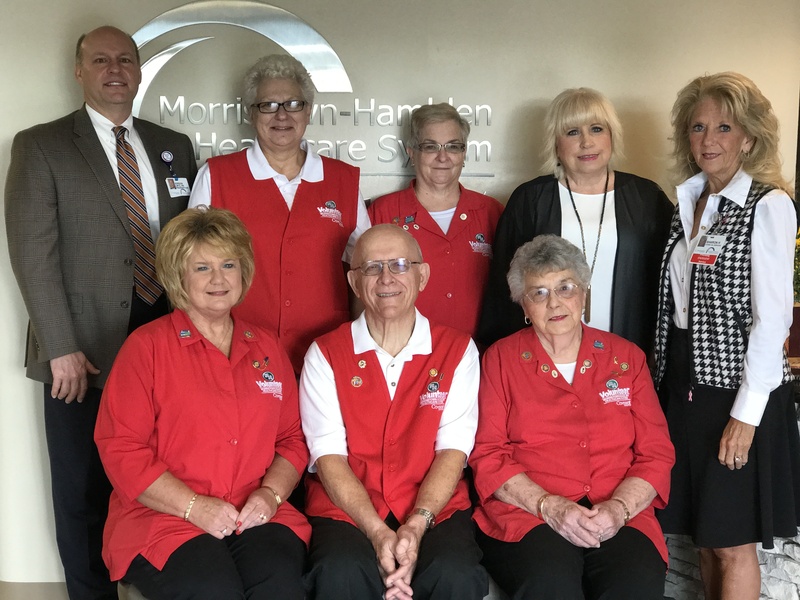 MHHS volunteers provide more than 13,000 hours of service per year to the hospital. Since the volunteer program’s inception in 1956, more than 400,000 hours have been given by generous and loving volunteers of our community. Whether they are greeting visitors, escorting patients, comforting a family in time of need or helping in the gift shop, our volunteers are known for their devotion to others. Volunteers enhance the work of our clinical staff and our patient support team in order to make the hospital stay more comfortable and convenient for the patient and family. Volunteer positions are currently available with a variety of shift options and opportunities. Volunteers are commonly needed to assist with answering phones, the day surgery waiting area, Cancer Resource Center, Chemo Infusion, general office assistance, distributing mailings, filing, and more. Volunteers also staff the JBC Gift Shop inside the hospital and revenues from the gift shop are used to improve patient care in the hospital. Membership in the Volunteer Auxiliary is open to any qualified person interested in serving our patients. Before a member can participate in the Volunteer Auxiliary, they shall successfully complete an orientation and training period. Members of the Volunteer Auxiliary work throughout the hospital by serving as patient advocates and assisting in special projects and services. The current Volunteer Auxiliary will work with you to find a position you will enjoy, with hours that fit your schedule. To find out more, call The Volunteer Department at (423) 492-5952 or apply online. Volunteers are selected by their peers to serve on the board for two year periods. Board members lead fundraising events throughout the year and ultimately make the decision where the money raised should be allocated within the hospital. An average of $10,000 is raised annually for use in projects such as the renovation of the hospital’s lobby, the purchase of three Stratus video language interpreters and donations to the hospital’s upcoming simulation laboratory to be used for training. The board also provides two scholarship opportunities to area high school students entering the healthcare field. Applications are reviewed based upon GPA requirements and the individual’s contributions to their community. 2018 Board Members are Jim Snowden, President; Debra Rogers, Vice-President; Florence Stubblefield, Treasurer; Brenda Cole, Secretary; and Debbie Widener, Corresponding Secretary. Collectively, these board members have served MHHS as volunteers for 42 years – Stubblefield serving for 24 years alone.